HomeLifestyleLet the 12 Day’s Of Giveaways Roll! 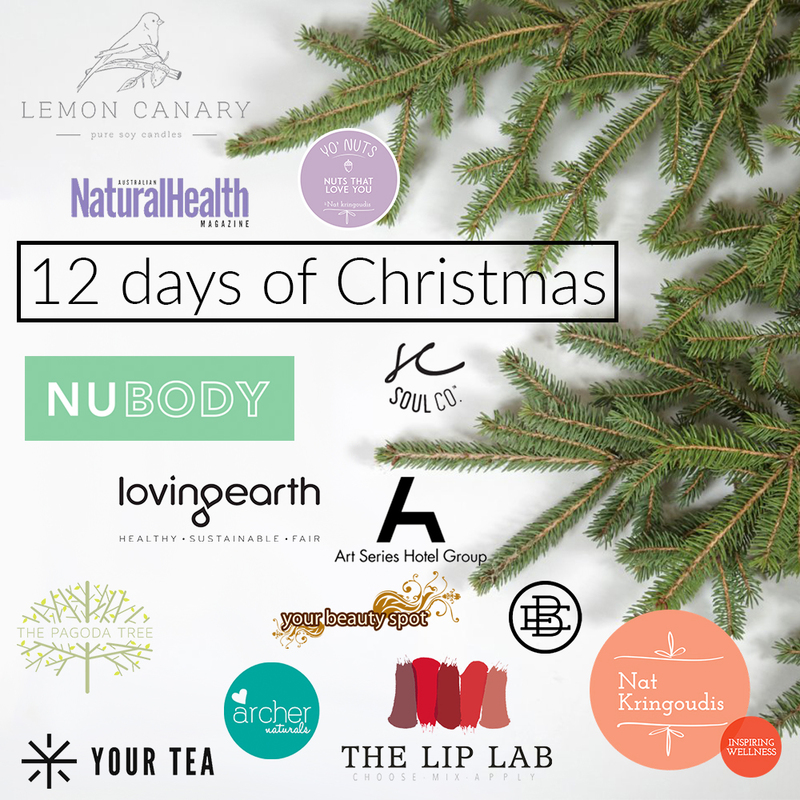 We’ve got amazing goodies to give from all our favourites including Lemon Canary, Australian Natural Health Magazine, Yo Nuts, NuBody, Loving Earth, Art Series Hotels, The Pagoda Tree, Your Tea, Archer Naturals, Lip Lab thanks to Beauty EDU, Your Beauty Spot and Soul Co! All you need to do to be in with a chance to get your hands on one of these epic prizes is make sure you’re following us on Social Media. Make your way over to Instagram or Facebook now and keep your eyes peeled! Come Monday, let’s enjoy the festive season, together! It’s my FAVOURITE!